Landscaping is a fantastic opportunity to frame your house in an attractive, practical way that makes the most of space and natural features, increases the appeal of time spent in the garden, and definitely adds value to the property. Homes on every street show the difference that landscaping can make to similar properties: neglected and overgrown, or updated imaginatively, requiring less maintenance. 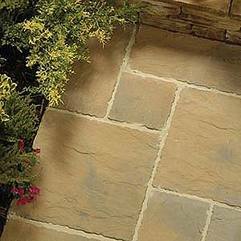 Davies DIY & Builders Merchants can supply everything required to make the most of the land around your home. We provide a full range of Fence Panels, Natural Sandstone/Slate, Patio Slabs, Garden Decking, Artificial Grass plus much more. 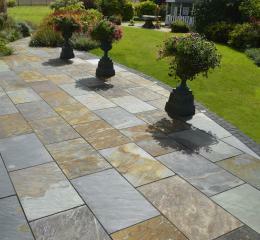 Vitripiazza is a high quality, vitrified, Italian porcelain paving. Vitripiazza offers 21 different colours across 6 beautiful ranges, with a wide selection of accessories to create the perfect finishing touches suitable for interior and exterior use. 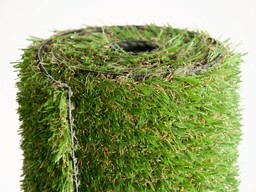 ​Have you ever imagined having a perfectly green lawn all year round? Well imagine no more!!! Take a look at the different types of grass we have available here at Davies DIY & Builders Merchants and see how we can help you achieve this dream of a stunning lawn. Our surfaces are practical, durable, safe and stylish and are well suited to stand up to all the children's fun and games. 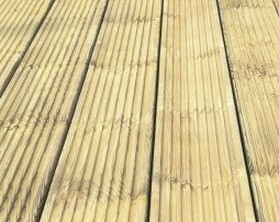 Decking is an ideal, universally applicable solution for covering old, damaged concrete or rough, uneven ground. It is also perfect where elevated seating is required. Decking raises your exterior entertaining areas above damp or muddy ground, and presents a totally level area for garden furniture. A decking area can really transform your garden. It can give you valuable extra space for entertaining your friends and family, a great outdoor dining area or simply a pleasant spot to relax in. Put the finishing touches to your garden and outside spaces with some of Davies DIY & Builders Merchants great quality garden fencing in various styles to suit any garden. 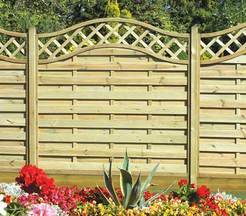 We can supply every type, from traditional lap fencing to decorative design panels, plus gates, trellises for an attractive touch and all fixings. We only use panels manufactured by companies with a reputation for excellence and quality in the fencing industry, and they are all certified by the FSC as sourced from sustainable origins. 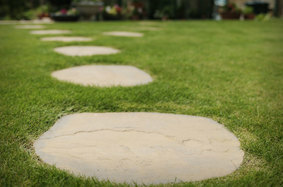 We like to ensure that we provide a high standard as there has been a great increase in public knowledge of how landscaping can bring your garden to life. 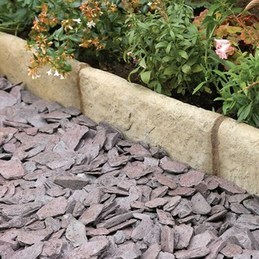 Take a walk through our superb range of stepping stones, available in a selection of designs, shades and sizes, these stepping stones can be used to provide a practical yet stylish contrast to our other garden landscaping products.